ONE of the most heartening trends in cinema in 2018 is just how many great movies about women were released throughout the year. Acclaimed productions such as Widows, The Wife, I, Tonya, and A Star is Born were charged with a new female energy that the traditionally male-dominated studios can no longer hold back. Confirming this trend in the most emphatic fashion is The Favourite, a highly spirited and cunningly unorthodox costume drama in which three women jostle to run an entire country while simultaneously running each other into the ground. 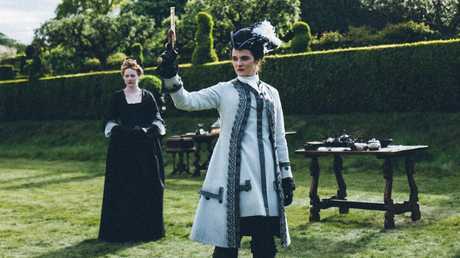 Courtesy of a trio of ferociously focused lead performances, it is not hard to see why The Favourite is a frontrunner in all the categories that matter this awards season. This clever, vibrant and deviously shape-shifting period piece engages in some very enjoyable games with the viewer, even if rarely feels the need to play nice. Emma Stone in a scene from the film, set in the 18th century. 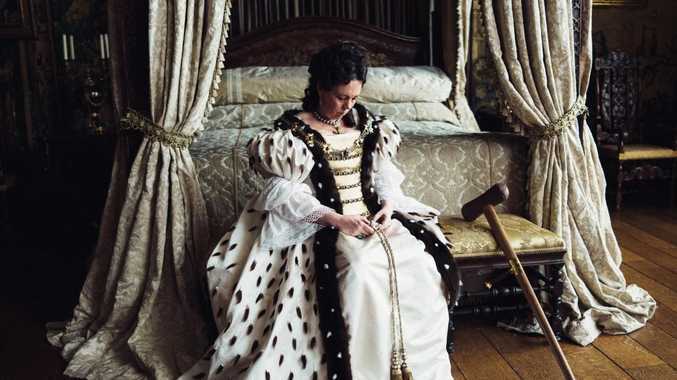 It is early in the 18th century, and on the face of it, Queen Anne (Olivia Colman) reigns supreme over the British Empire. However, behind closed doors, her physical and mental wellbeing keep fluctuating wildly. Taking advantage of this power vacuum is Queen Anne's trusted advisor (and secret lover) Lady Sarah (Rachel Weisz). A skilled, if capricious after-hours lobbyist, Lady Sarah is determined to call the shots on foreign policy, military strategy and more as her husband leads the nation into war with the French. This cosily calculated arrangement is rudely interrupted by the arrival to court of Abigail (Emma Stone), a cousin of Sarah who has fallen on hard times. But not for long, once Abigail senses her own opportunity to sway the throne this way and that. The highly combustive feminine firepower consistently ignited by the three leads here is a wonder to behold, as is the withering wit of the screenplay, and the mesmerising direction of in-form filmmaker Yorgos Lanthimos. Anyone who found themselves falling under the cultish spells of Lanthimos' last two weird-outs The Lobster and The Killing of a Sacred Deer will be taken aback by his restrained and accessible work here. Come Oscars time, Academy voters are going to have a tough time choosing between Stone (many continents away from La La Land), Weisz (sharpening an edge not always to the fore in her earlier works) and Colman (a revelation with a character that can provoke pity, revulsion and awe in the same beat). The Favourite opens on Boxing Day. Starring: Olivia Colman, Rachel Weisz, Emma Stone, Nicholas Hoult, Joe Alwyn.